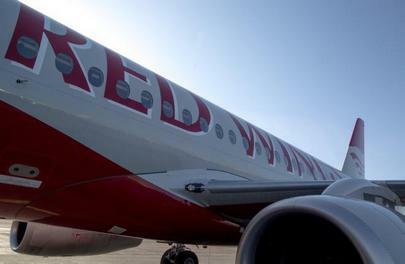 Russian carrier Red Wings will return two Sukhoi Superjet 100s (SSJ 100), which it rented from Sukhoi Civil Aircraft (SCAC) in the second half of 2015, to the OEM. Three more aircraft of the type will remain in its fleet. The rental agreements were cancelled by SCAC’s initiative, Red Wings’ general director Yevgeniy Kliucharev confirmed to Russian Aviation Insider. Now the airline will have to downsize its flight and technical staff. Red Wings will return aircraft with tail numbers RA-89008 (delivered in August 2015) and RA-89010 (delivered in November). “We have returned one of the aircraft, the one that has been based in Zhukovskiy since April 1. The second aircraft will be ferried to Ulyanovsk on April 17 to get repainted,” Kliucharev said. He emphasized that the phasing out of the two aircraft will not affect the airline’s schedule, as the schedule had already been revised when two other aircraft were grounded for planned maintenance. An industry source revealed that at least one of the two aircraft will be transfered to Yakutia Airlines within the framework of the refinancing project for Yakutia’s two SSJ 100s. Three SSJ 100s that will presumably remain with Red Wings (tail numbers RA-89001, RA-89002 and RA-89021) were leased from the State Transport Leasing Company (GTLK). The leasing company refused to comment on further operation of these aircraft.